This nearly abstract reclining headless figure is titled “Odalisque IV” and is by Manuel Neri (American, born 1930). Compare this conception of an odalique with the accompanying “O” in this challenge done by an unknown Italian artist in the 19th century. To my eye, in neither case is the rendering strongly evocative of a woman who meets the accepted definition of an odalisque, namely “a female slave or concubine in a harem, especially one in the seraglio of the sultan of Turkey.” We have two very different cases of artistic license, or perhaps titles for works being pulled out of thin air. 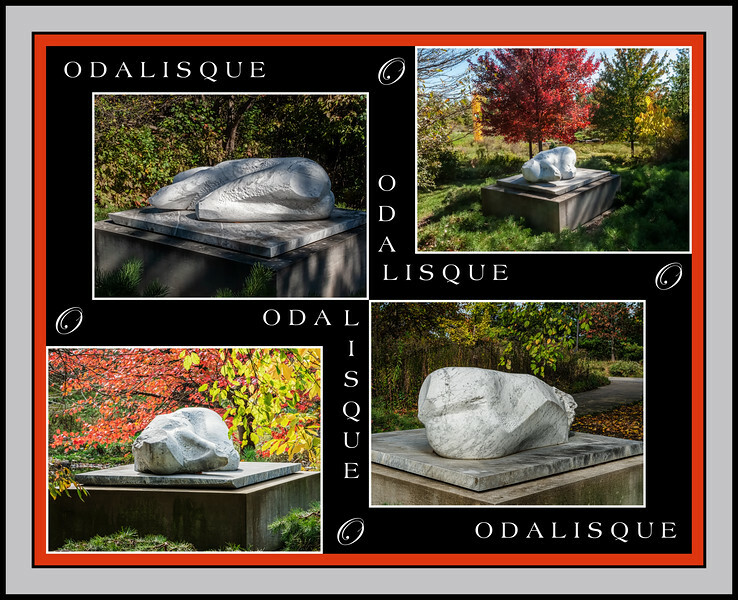 Beautiful "O" collage...quite different from the other Odalisque! Looks like fall has reached you already! You got me on this "O", never heard of it. Very creative.